Galveston Historical Foundation will open the doors to the 1859 St. Joseph’s Church, 2202 Avenue K, for a special night of music with acclaimed singer-songwriter Matthew Ryan, on Thrusday, October 20 at 7 p.m. Tickets are $20 per person and a special selection of craft beer and wine will be available for attendees with donation. Ryan’s performance will be completely acoustic, only using the incredible acoustics of the historic venue to highlight his highly regarded craft. Over a career that spans nearly two decades, Matthew Ryan has refined the poetry of his songwriting, creating his own aesthetic where beauty and darkness often trade punches from line to line—Intelligent, minimalist, and unapologetic; it’s music for humans. Along the way he has built a group of ardent supporters including the American treasure that is Lucinda Williams as well as authors Michael Koryta and Jim Shepard (to name a few). Last winter, Ryan set up shop at Applehead Studios in Woodstock, New York with a small team of friends: producer and multiinstrumentalist Kevin Salem, The Gaslight Anthem’s Brian Fallon on guitar, longtime Ryan collaborator Brian Bequette on bass, Joe Magistro (The Black Crowes) on drums, Tracy Bonham on violin, and Ryan himself on vocals and guitars. They hunkered down to do the work of making a loud and beautiful rock and roll album. What transpired is at times spare, cinematic and poetic, and at others raucous and loud; but always smart with heart to spare. From the silvery burst of feedback that opens the album, to the dissolving vérité of the last notes of the closing track, BOXERS offers a rare rock and roll that never relents. Lyrically, musically and sonically, BOXERS is an authentic beauty. St. Joseph’s Church is the oldest German Catholic Church in Texas and the oldest wooden church building in Galveston and was built by German immigrants in 1859. 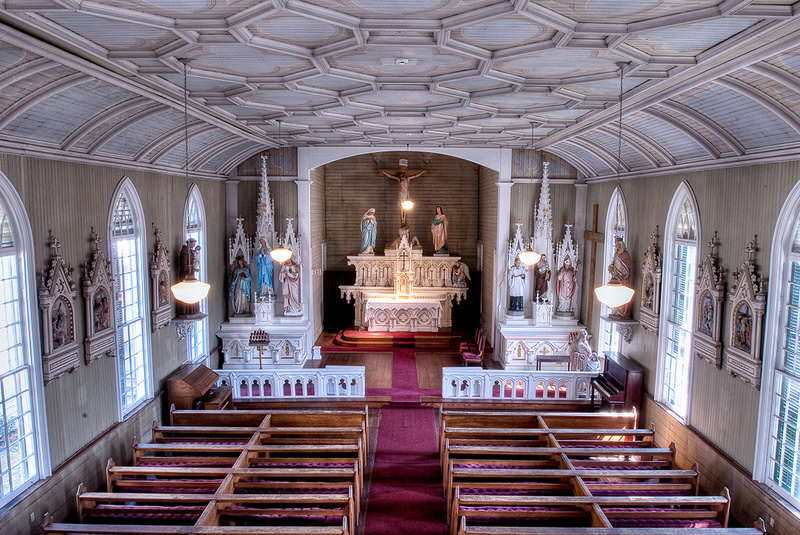 Now de-sanctified and managed by Galveston Historical Foundation, the gothic revival church is distinguished by its elaborately detailed coffered wooden ceiling, delicately painted wooden sanctuary, original pews and hand-carved altars. GHF preserves the building as a museum and makes it available as an event venue. Previous artists who have performed here include The Trishas, Joe Pug, Ian Moore and more.